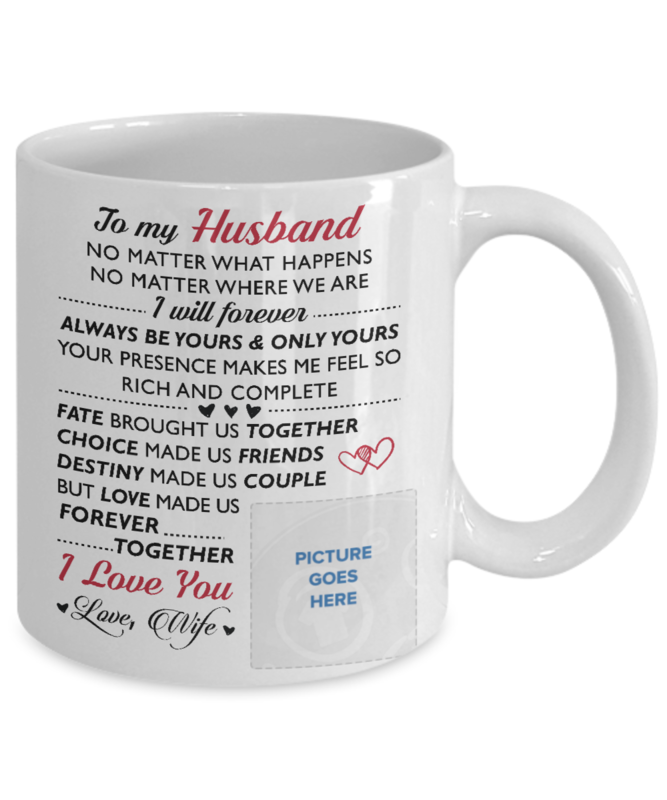 ♥ Surprise Your Husband with this beautiful Mug and melt his heart! I loved it. Thank you so much!! We received the cup after Christmas but was so excited for my husband to get it. 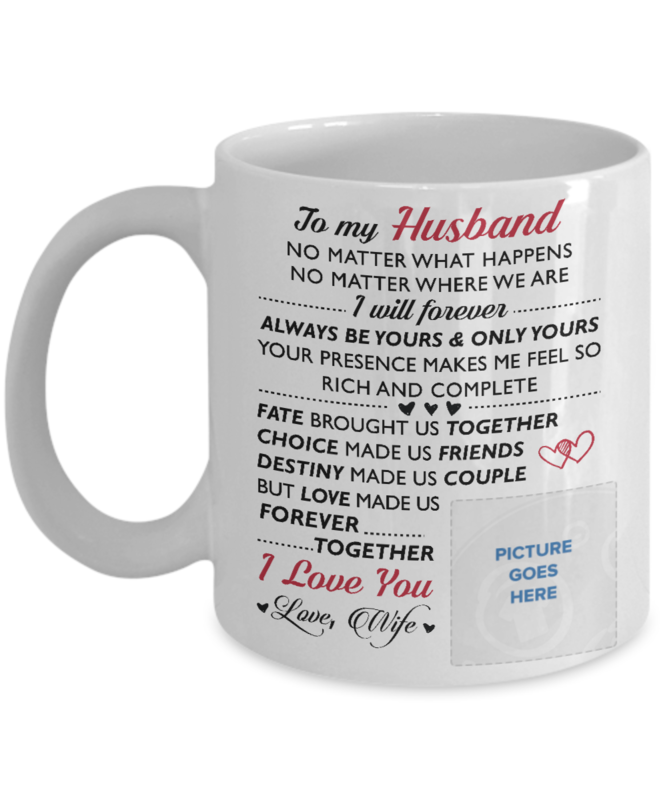 I ordered the mug for my fiance to give to him on our wedding day. I received the package well wrapped and no damage. The mug is perfect. The picture i sent came through and shown on the mug very well. Would be nice to have the picture a little bit bigger, but no complaints. The mug is durible and thick, not thin and brittle. He will (and does) enjoy using it. Great quality and will last a very long time. The deliverey was on time (earlier than noted) and cost is affordable and well worth it !!! I am very happy i bought this. He loves it and it's a great spouse gift. My husband loves it! I love it too!